…as in concierge. Here’s how Zairge is transforming the hotel industry: there are a lot of parts and pieces to making all of the operations of a hotel run smoothly. Zairge is a platform that facilitates interoperability between all of the moving parts. It’s an enterprise property management system, online travel agency/global distribution system liaison, Point of Sale System, Food & Beverage system, inventory tracker, housekeeping/maintenance platform – and everything in between, accelerating productivity for owners, employees and guests. In one powerful, easy to use, easy to learn, drag and drop system. “We trained one guy in his mid-60s, who couldn’t even turn on a tablet. Within a day, he was totally literate with the system,” said co-founder Dan Otto. Guests walk up to a tablet, scan their information, and can go straight to their rooms. Checking out is just as easy – as is getting everything else they might need during their stay. In the meantime, hotel operators capture analytics in real time. Since it’s cloud based and mobile, they can also access the platform and make decisions from any device. 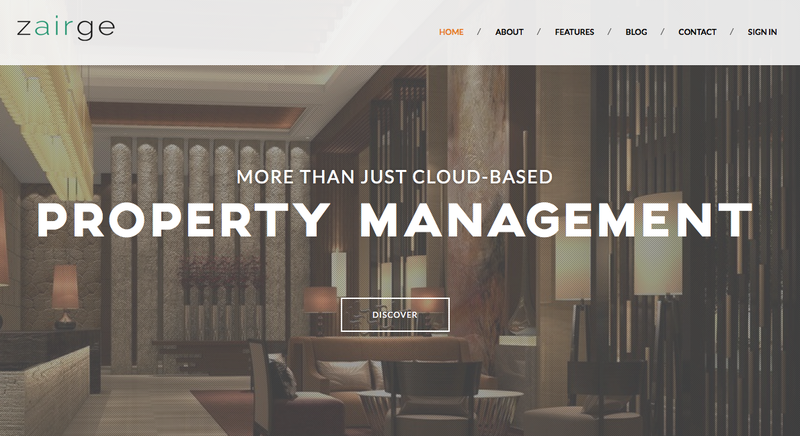 “We built the product so that it could integrate with hotels – and be inclusive with other developers, to make it a full solution,” said Otto. The revenue model: $5 per room, per month. Monitoring such amenities as pool and spa are extra. The upper end boutique hotels and smaller hotel chains are the company’s target markets, and where they’ve been getting traction. The team relocated from Williamsburg to participate in the DreamIt Accelerator. Colonial Williamsburg, where they first met while attending The College of William and Mary, in Virginia. Although they’ve quite taken to Brooklyn’s Williamsburg, where, after one of their usual 16 hour days, they can still get great food at one am. That works!